Guilner from the hood with his new two tracker EP “Bad Intentions”. 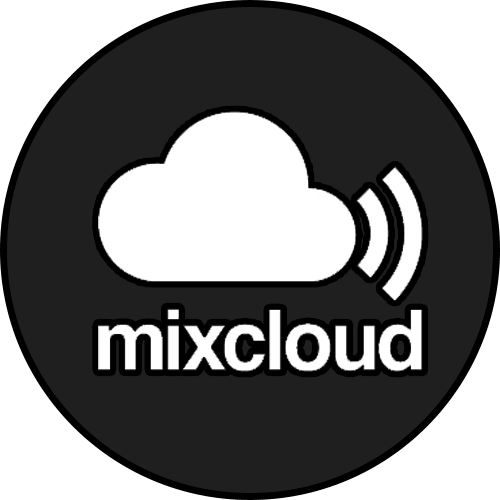 House beats, disco vibes, funky grooves, deep bass; you name it, it’s all there! Track one, titling the EP, works around a classy disco vocal, creating a completely original disco rollercoaster, taking you up, and down, over and over, saving the best for last. Track two “Lovers”, a solid deep acid bass rhythm, sprinkled with some sample dust, breaks into a dreamy synth drop and ends with great expectations. Absolute genius! aLLriGhT is back! It’s been a while since their last release and they are coming back with a load of new tracks that will be released over the course of the year to culminate with an album towards the end of it. To start off is a track that was created few of years back with good friend Horse, but got buried in the hard drive as often tracks do. Re-working it, developing it, remixing it, you can listen to a snippet below. You’ll have to wait the 11th February 2016 to listen to the whole track I am afraid, So hold your horses for now…hehe! 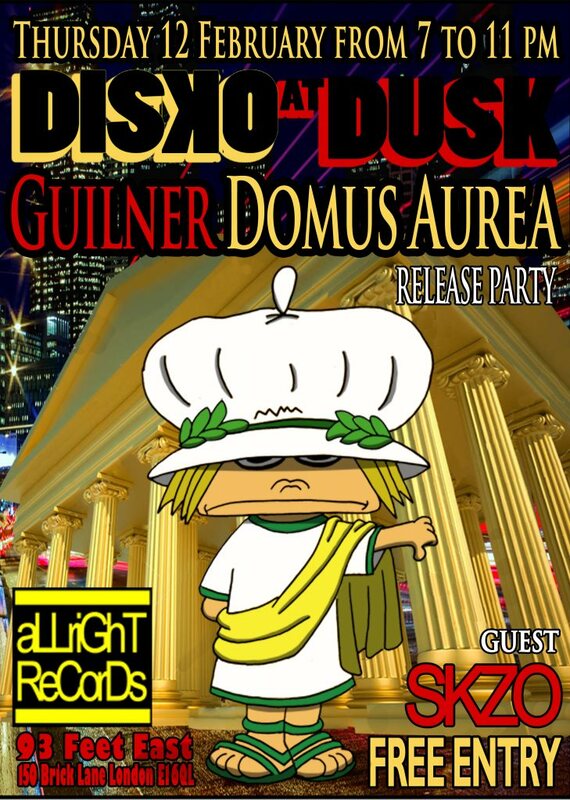 Guilner out again at aLLriGhT ReCorDs with an awesome track:”Domus Aurea“. Titled after Roman emperor Nero luxurious mansion golden house, the track is Guilner at his best. A strong funky synth bass sided by a collection of retro e.piano chords, completed by a delightfully fresh female vox cuts. Out of this time! Already a classic!!! Included in the release two remixes by “chart topper” Funk Hunk with an exquisite funky deep rework and Miky_B‘s darker uptempo techhouse baby! Animation Studio Motoko. 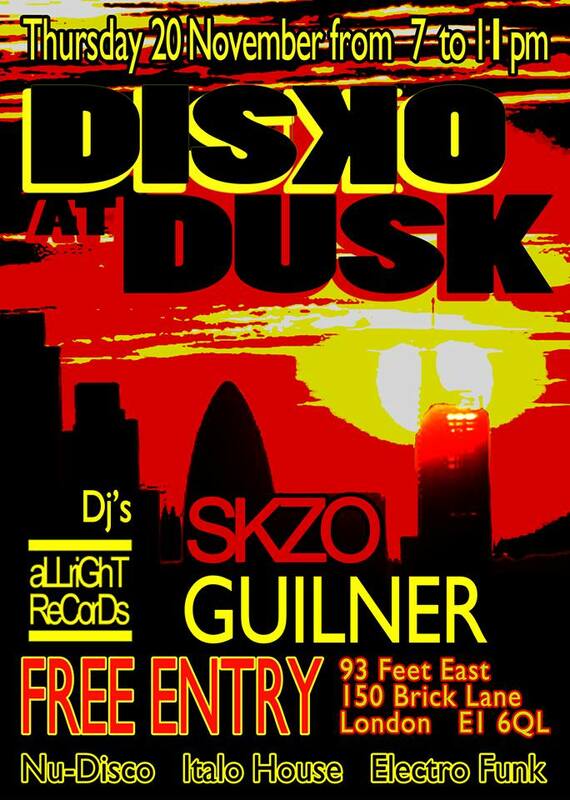 We will celebrate our number 015 on release day, 12th Feb 2015 at 93 Feet East in Brick Lane (East London), as part of Disko at Dusk presents: Guilner – Domus Aurea (RELEASE PARTY) with GUILNER and SKZO. Get your toga out, from 7pm to 11pm FREE ENTRY. Guilner at aLLriGhT ReCorDs with solo EP Galaxy of Terror. Three tracks take you into a journey down Disco Inferno.“N.O.W”, deep spaced out disco house, complete with skilfully arranged 70’s cuts; “Magnetar”, up tempo retro electro progressive supernova; “Galaxy of Terror”, dark 80’s new wave synths screaming at graffiti walls of bass. 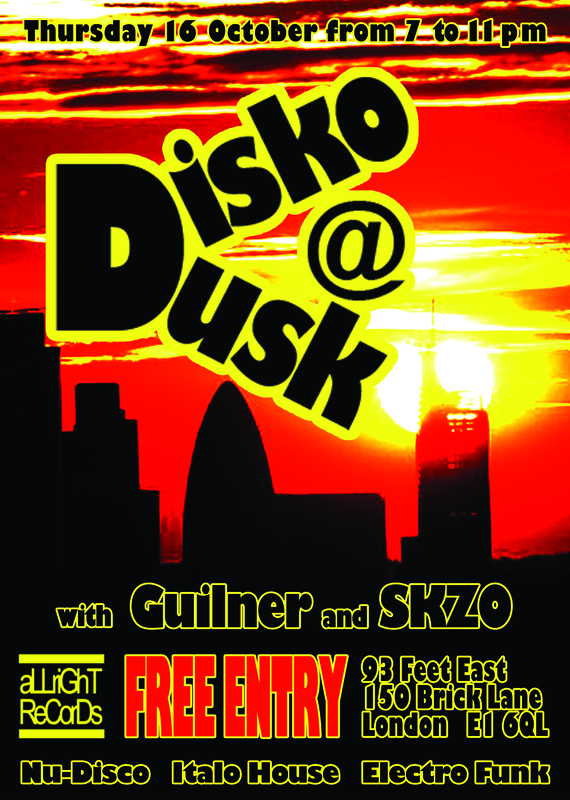 Vintage Wurlitzers, Funky Bass …Guilner is back! 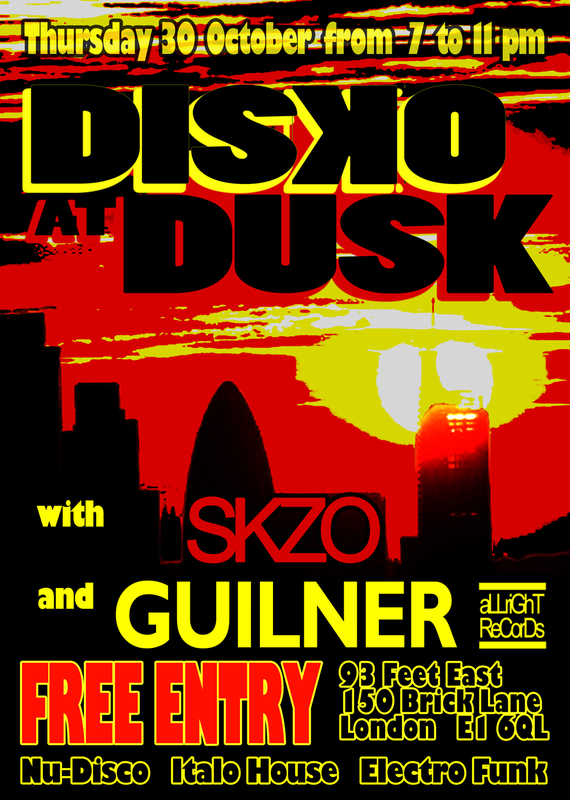 Guilner is back at aLLriGhT ReCorDs with second single In Two. 70’s vintage warped Wurlitzers, cosmic cluster chords, for the funkiest bass tune.